SNCF is the official railway of France. 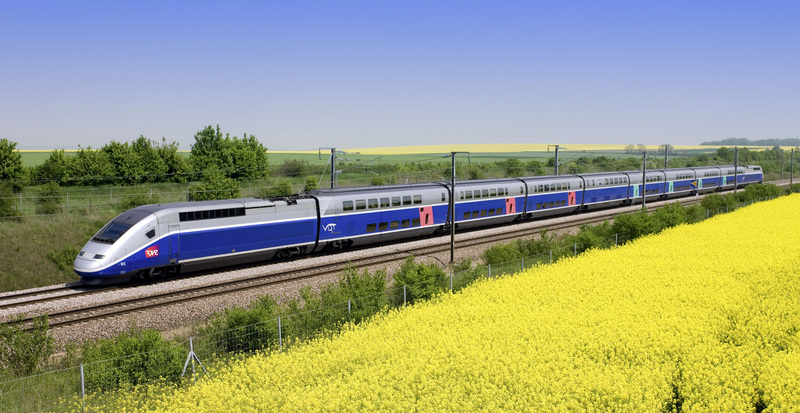 SNCF manages some of the most popular routes of Europe – Paris – Barcelona, Paris – Zurich, London – Paris & many others. It is highly advisable to book tickets in advance because the prices keep fluctuating & like airlines, the prices go up if you’re looking to book it on the last minute. Western European trains are more punctual than that of Eastern European trains. SNCF is very very VERY punctual so make sure you reach the station well in advance. If you haven’t reserved your seat in advance, please reach the station at least 2 hours in advance. Their staff at Paris is way too slow & some struggle with basic English as well. I had to leave my direct connection to Barcelona because they took about 30 mins just to understand my request & allot me a seat. I loved SNCF for its comfort. The seats are huge (for 1 person), more than enough leg-space, perfect coach temperature & clean windows (most important thing if your journey is long). Frequency of SNCF trains is not bad but not good as well. If you miss a direct connection, there’s a chance that you’ll find the next direction only after 4-5 hours. Break journey is also possible between some destinations & it is recommended because you can comfortably change trains even with your luggage. Sometimes, that option becomes a little cheaper as well. SNCF trains are equipped with amazing restaurant coaches. If you need help with something, you can ask one of the train-hostesses. Toilets are located on the either side of the coach. In the SNCF trains that I traveled, there was enough luggage space for all kind of bags. They were comfortably located on both sides of the coach. If you’re traveling with small bags, you can also fit it in the overhead luggage space.